Here we are going to share another latest formal wear collection by Maryum Hussain. As we know that Maryum Hussain is one of the fashion brands in Pakistan. Who is working in the Pakistani fashion industry for a few years ago. Recently Maryum Hussain launched her formal wear collection 2019 for women. This newly entered collection in the Pakistani fashion industry is containing new and very beautiful chic designs for women. 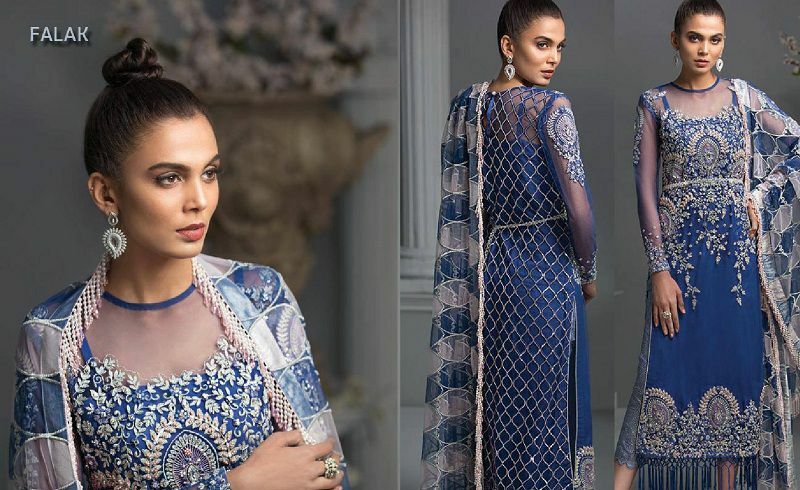 Furthermore, this formal wear collection by Maryum Hussain is also best for festive wear, containing rich traditional embroidery patterns with high contrast colors tone & combination. Furthermore, this collection is also containing mostly 3 pieces and embroidery dresses with stunning embroidered dupatta. Look at these beautiful winter formal wear collection by Maryum Hussain, that is containing luxury stylish formal wear collections for their beloved visitors. We hope that you will like all of these beautiful winter formal wear prints and may interested to shop online these perfect winter wardrobe. So, don’t waste more time and today get a beautiful formal wear dress through online & in store at affordable prices.